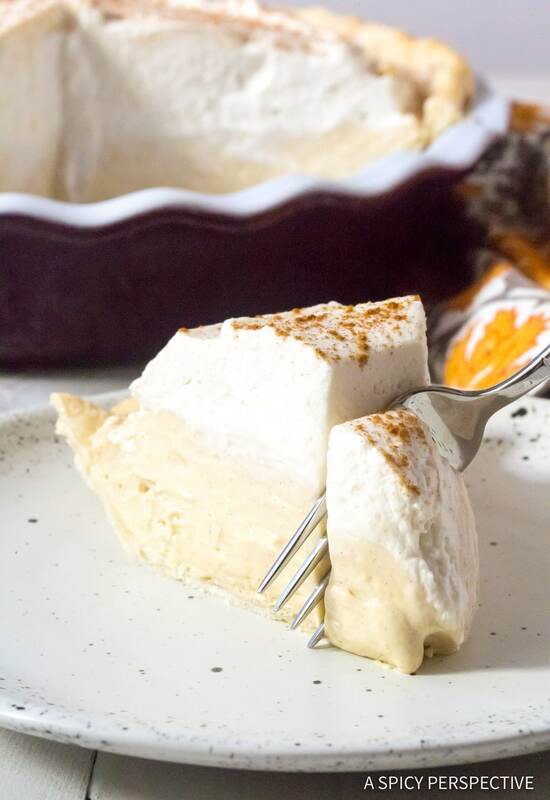 Every November, we get requests to share alternative Thanksgiving desserts to pumpkin pie. Some people, no matter how hard they try, will never love pumpkin pie. No judgment on my end. 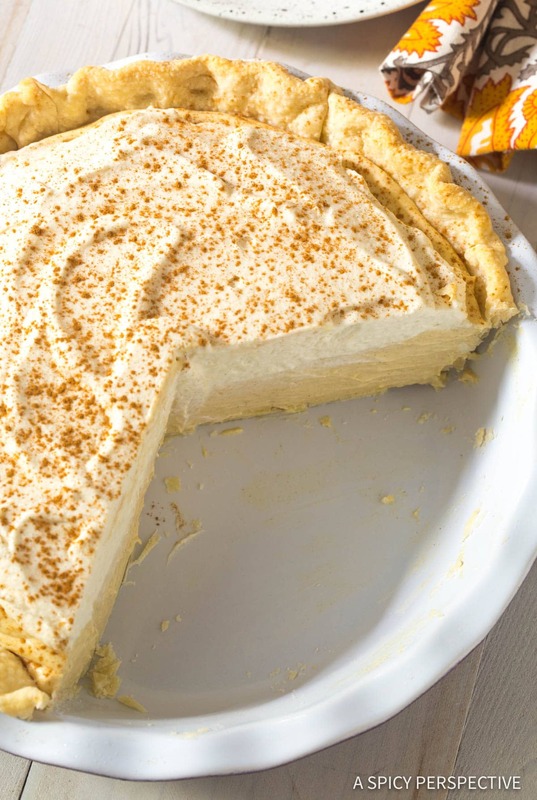 Last year we shared a cinnamon pie recipe that received rave reviews throughout the holiday season. 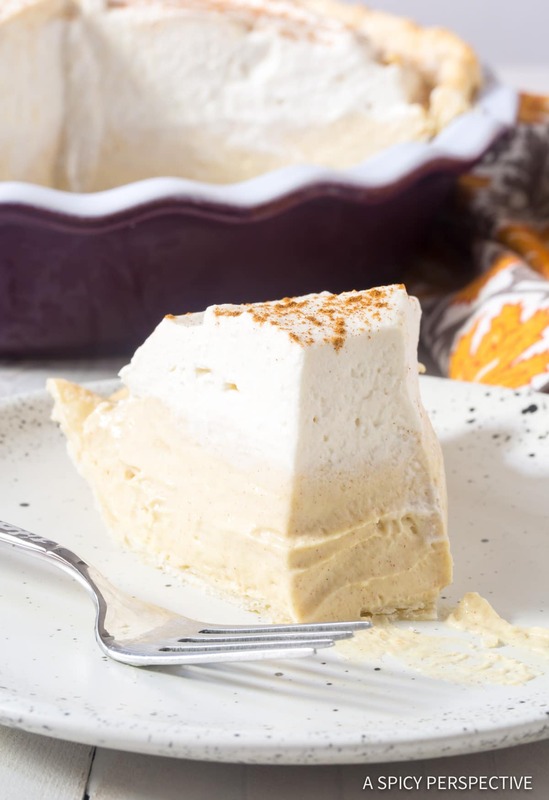 It’s a baked custard-style pie packed with intense cinnamon flavor… And no pumpkin. Since you guys seem to love it so much, this year we’re sharing a Cinnamon Cream Pie with Brown Sugar Whipped Cream. 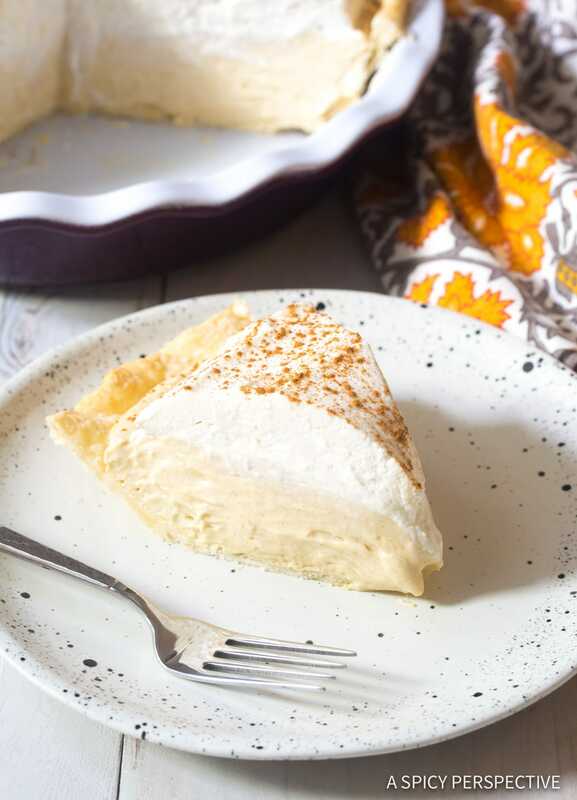 This fluffy cinnamon cream pie starts with a crisp buttery crust, then is filled with a no-bake sweetly-spiced pillowy center, and topped with whipped cream. 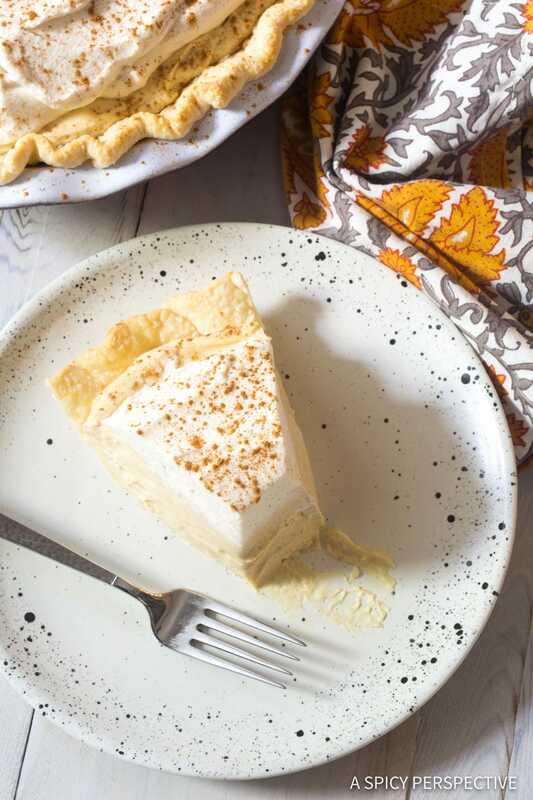 Cinnamon Cream Pie with Brown Sugar Whipped Cream is a new family favorite. It’s easy to make, a beauty to behold, and a true crowd-pleaser. Pie crust – Either buy a refrigerated roll-out pie crust, or make your pie crust from scratch. Heavy cream – For the whipped topping and to lift the filling. Light brown sugar – Adds depth and sweetness to both the filling and the whipped cream. 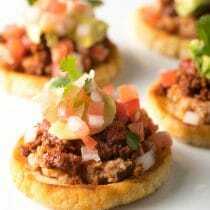 Cream cheese – Provides flavor and structure to the pie filling. Instant vanilla pudding – This is also needed for structure, so the pie filling is thick enough to cut. Whole milk – To activate the instant pudding. Ground cinnamon – The most important element for flavor! 1. Bake the Crust – Carefully fit the pie crust down into a deep pie plate. Crimp the edges to make them look pretty. Then bake the crust until golden brown. Pie crust without filling has a tendency to puff up while baking. 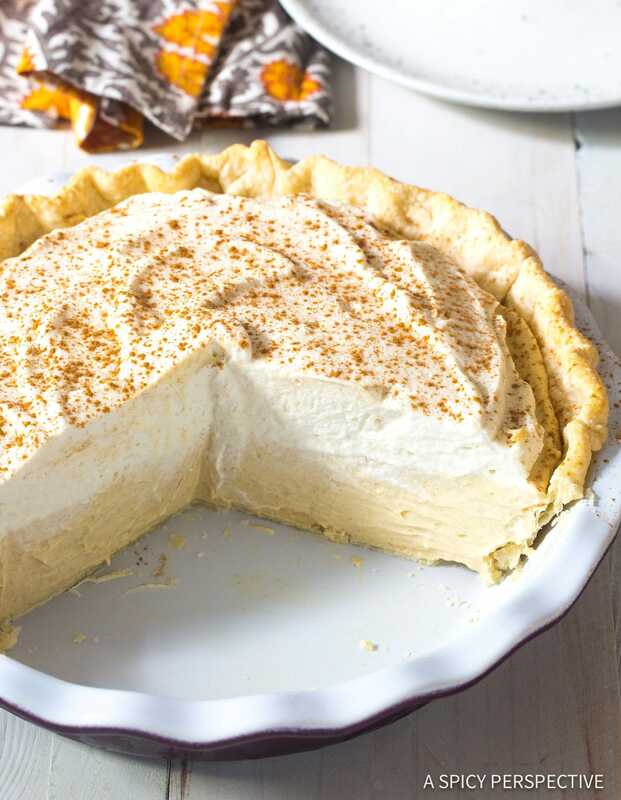 To combat this, you can either prick the bottom of the pie crust with a fork, or place a piece of parchment paper down in the pie crust and fill it with dried bean or rice. Then remove the “weights” after baking. 2. Whip the Cream – Add cold heavy cream and brown sugar to a mixing bowl. With a whip attachment, whip the cream until very firm. 3. 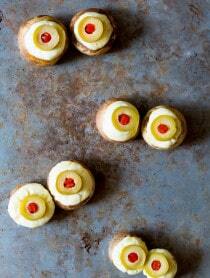 Mix the Filling – Beat the cream cheese to make sure its very soft, so the rest of the ingredients blend in. Add in the brown sugar and cinnamon so the brown sugar will break down into the cream cheese. Then beat in instant pudding and milk. 4. Fold – Gently fold half the whipped cream into the pudding mixture. This lightens the mixture for a light airy texture. 5. Assemble – Move the pie filling into the crust. Then top with the remaining whipped cream. This pie will keep in the refrigerator for up to 2 weeks, although the crust is best if eaten within one week. Try swapping apple pie spice blend for the cinnamon. 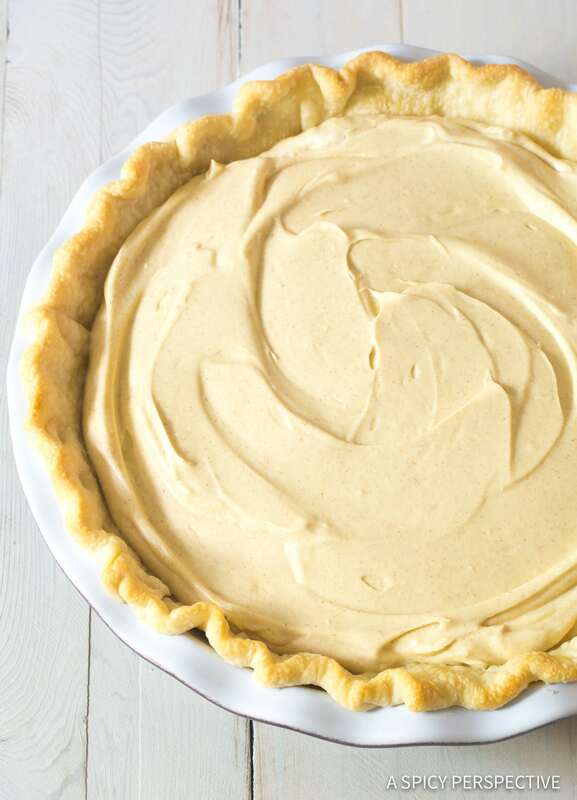 If you want the pie to be completely no-bake, use this graham cracker crust recipe instead of a traditional pie crust. Chocolate lovers, spread a layer of Nutella on the bottom of the pie crust before adding in the pie filling, for a sweet surprise. Then top the pie with chocolate shavings! 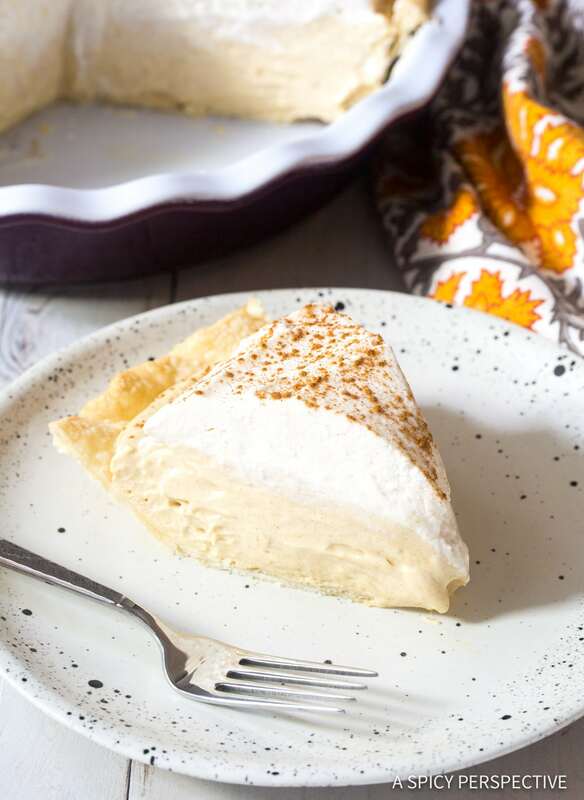 Fluffy Cinnamon Cream Pie with Brown Sugar Whipped Cream - A fluffy no-bake pie recipe with homemade whipped cream. 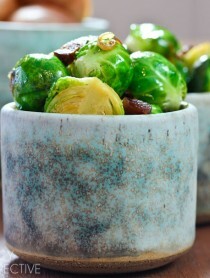 A wonderful substitute for pumpkin pie! Preheat the oven to 450 degrees F. Roll a store-bought or homemade pie crust out on a floured work surface, into a 14-inch circle. 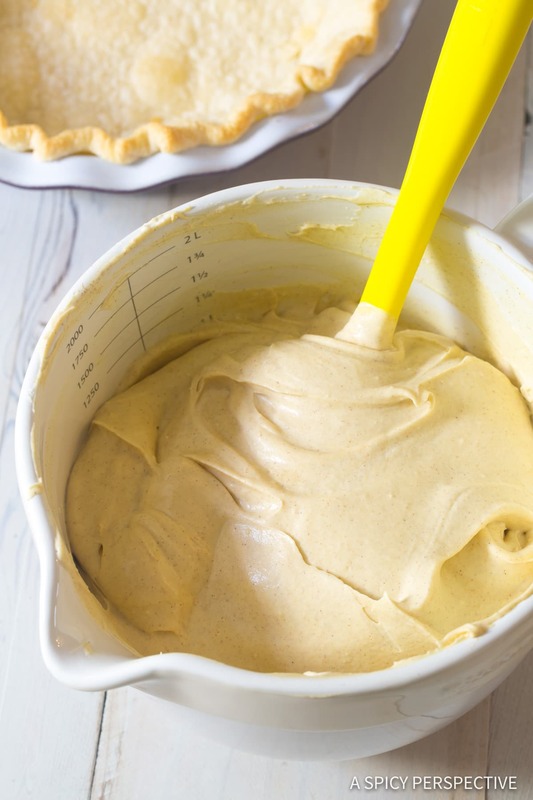 Hold one side of the pie crust over the rolling pin and carefully roll it over the top of the rolling pin to transfer it to a deep-dish pie pan. Don't stretch the pie crust, but gently move it into the center of the pie pan. Turn the edges underneath and crimp the edges to seal. Do this with a fork or with your fingers. Place a large piece of foil or parchment paper over the pie crust and gently shape it over the dough. 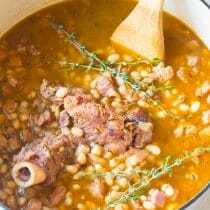 Fill the foil with ceramic pie weights, or dried beans. Bake the crust for 10-15 minutes. Take out of the oven and cool completely. Remove the foil and weights. Once the pie crust is cool, pour the heavy cream in the bowl of a stand mixer with a whip attachment. Add 1/3 cup brown sugar and beat on high until whipped to firm peaks. Scoop the whipped cream out of the mixing bowl and refrigerate until ready to use. Next place the cream cheese, remaining 1/3 cup brown sugar, and cinnamon in the stand mixing bowl. Beat on high to soften the cream cheese. Then turn on low and alternate adding the instant pudding powder and the milk, until both are well combine and the mixture is smooth. Scrape the bowl with a spatula. Then beat again to make sure the mixture is completely smooth. Scoop half of the whipped cream into the pudding mixture. 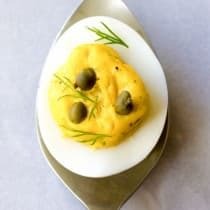 Gentle fold it in with a spatula until the mixture is light and even. Then scoop the filling into the prepared pie crust and spread out evenly. 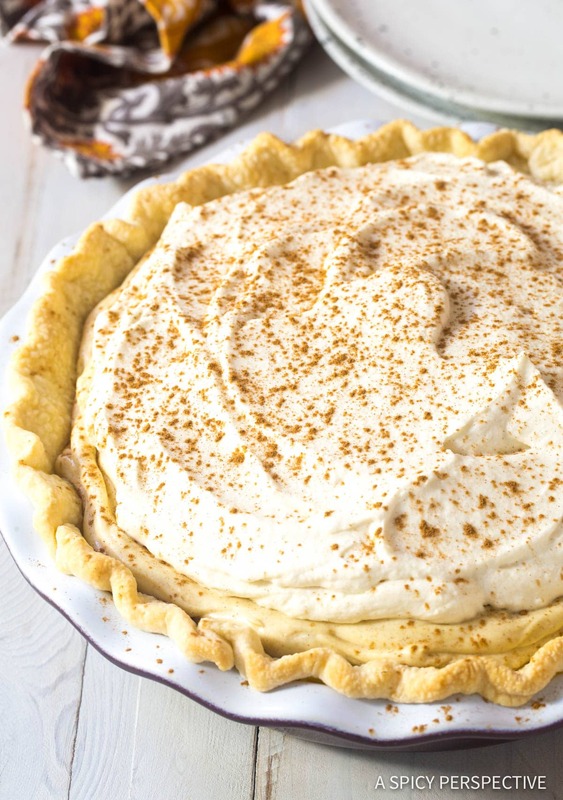 Top the pie with the remaining whipped cream and sprinkle with extra cinnamon. Chill for at least 4 hours, or until ready to serve. ——- I wonder what the stuff in the pie plate will look like in 4 hours? Probably not much different than it looks right now – soup – and a lot of it. Welp, ya learn something new every day. 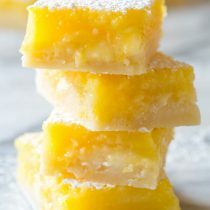 Would this work with premade pudding? I haven’t tried that so I’m not sure the texture would be exactly the same. It might turn out a little looser… not as firm. Hi, thought I read over the directions more than once but it became obvious I hadn’t at the very end. I added all the whipped cream into the cream cheese mixture. Oops. Daughter wanted this in a shortbread crust so filled it up and then filled up a graham cracker crust pie shell. So I actually have 2 pies and the taste is wonderful. Both of us love cinnamon and don’t like pumpkin so having two pies is not a hardship nor is having extra whipped cream on top. Thanks for a great pie and have a happy thanksgiving. I’m obsessed with this pie. That filling!!! This is genius. I never would have thought to add the cinnamon, and it is just so good. Thank you. Yum! This looks so creamy! At first I thought it was banana cream, but I’m relieved it wasn’t because I hate banana. Finally a cream pie I’ll love! This looks incredible! I NEED to try that brown sugar whipped cream! This looks great! My hubby loves pumpkin pie, me not so much. This will be making an appearance :) Thanks. 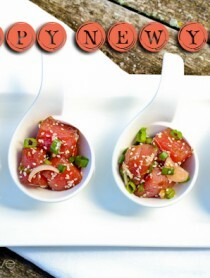 Then this recipe is just for you. I can’t wait to hear what you think!